Item # 311571 Stash Points: 1,995 (?) This is the number of points you get in The Zumiez Stash for purchasing this item. Stash points are redeemable for exclusive rewards only available to Zumiez Stash members. To redeem your points check out the rewards catalog on thestash.zumiez.com. Get possibly the most classic cold weather look there is with the 5Boro Rose White Beanie. This all white beanie is highlighted by an embroidered rose image at the cuff in black with a matching 5Boro text logo beneath. 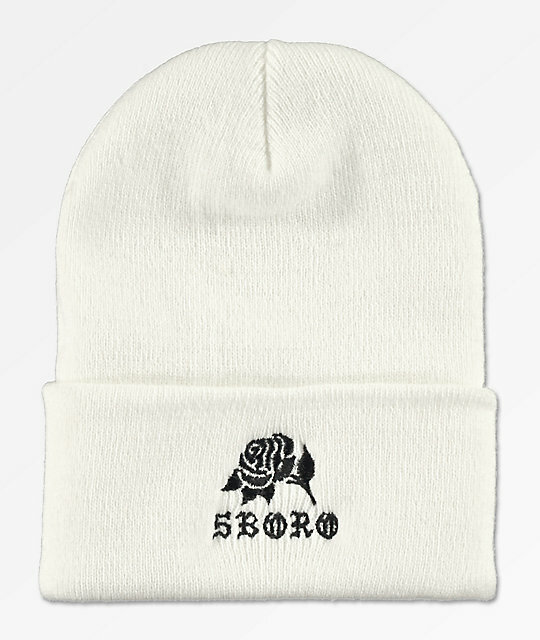 Rose White Beanie from 5Boro.